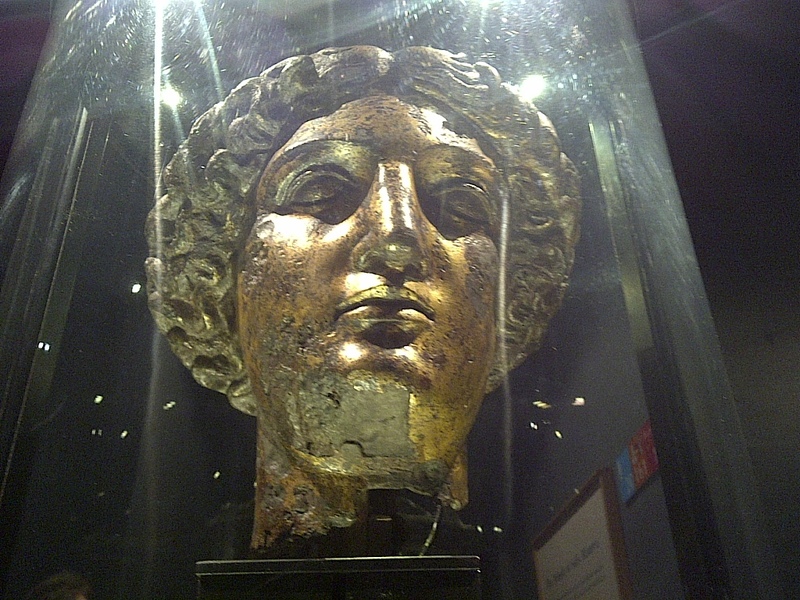 The bust of Sulis Minerva, a Roman/pagan “combined” goddess of the baths at Bath. Bath, England. June 16, 2013. On the ENGLAND, SCOTLAND & WALES tour.